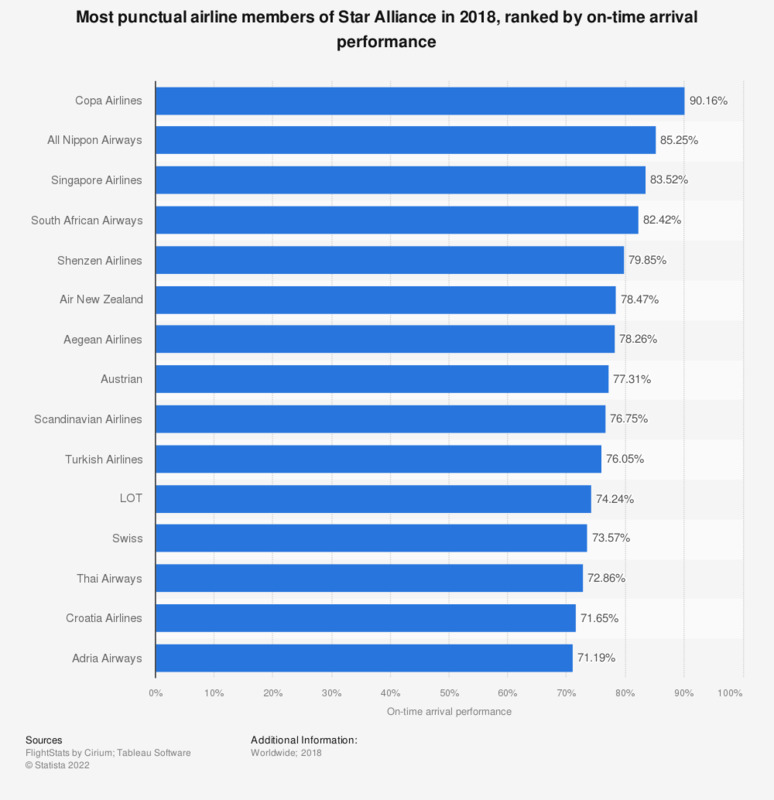 This statistic shows the most punctual airline members of Star Alliance in 2018, ranked by their on-time arrival performance. Copa Airlines was the most punctual airline in that period, with 90.16 percent of their flights arriving on time. On-time arrival performance is defined as the number of flights that departed no later than 30 minutes after its scheduled time as a share of the total number of flights. The values refer to scheduled passenger flights. Mexico: Which airline do you fly most frequently?